I didn't know how to write this post. So, I figured you could might make your own initial assumptions. We arrived at 10pm, after a stressful day. I don't know about you, I thought it sent a completely odd message, one of the sheep dipping type. I am married to a Yorkshire man. And being completely stereotypical, he is a stereotypical Yorkshire man. Fab at negotiating, fab at finding a bargain. And I felt the need to reciprocate, to prove I don't throw money away, that I can also sniff out a bargain. 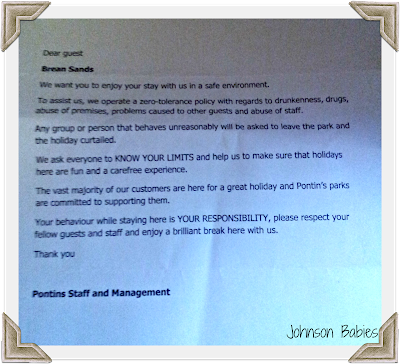 And one of those discount email sites sent an email earlier in the year for a Monday-Friday break for 4 to Pontins. For £33. So I phoned my parents to see if they wanted to join us- and have Squeaks in their accommodation. My mum thought it would be a great idea to invite my brother and his family. 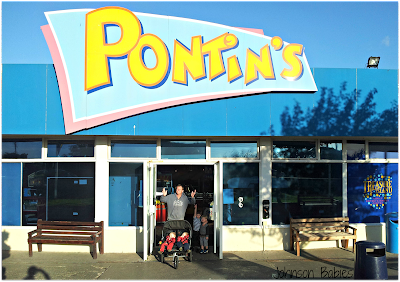 So, six adults and five children later we are at Pontins at Brean Sands for the week. What can I say, I didn't look at what I was booking! 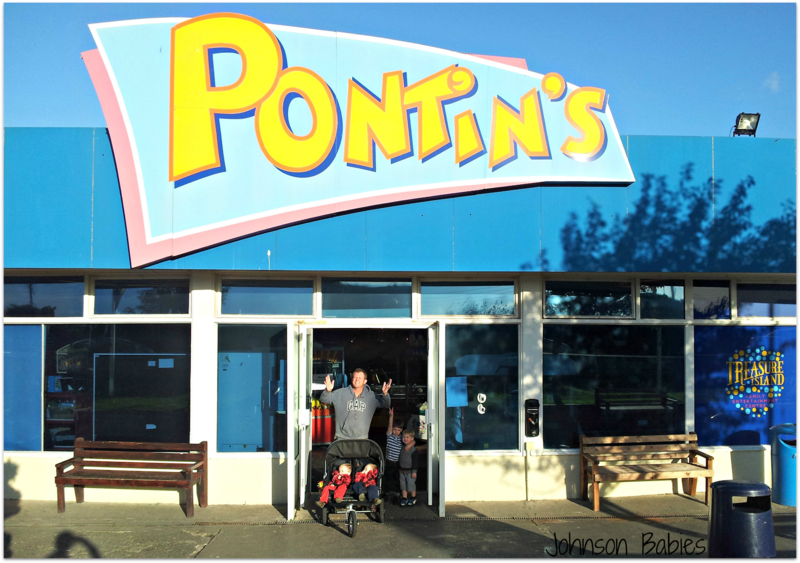 It seems that all accommodation at Pontins is based on the double bed being a sofa-bed in the lounge/ kitchen. Mr J accepted this, although my parents didn't. I have been requested to leave the bargain hunting to Mr J. 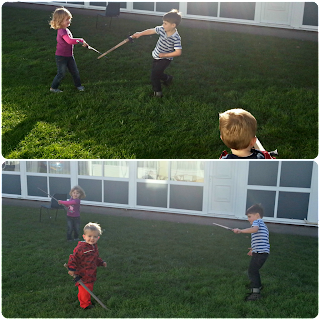 The chalets faced each other with grass inbetween, which the children loved playing on and it seemed ok to let them play 'out'. The swimming pool was good, with vigilant lifeguards. I admit to feeling like a snob on this holiday. I was instantly put off by the 'welcome pack'. Whilst it was great that there was the freedom to play outside the chalets there were too many cigarette butts laying around from previous holidaymakers. I think we all treated this holiday as a trip down memory lane. 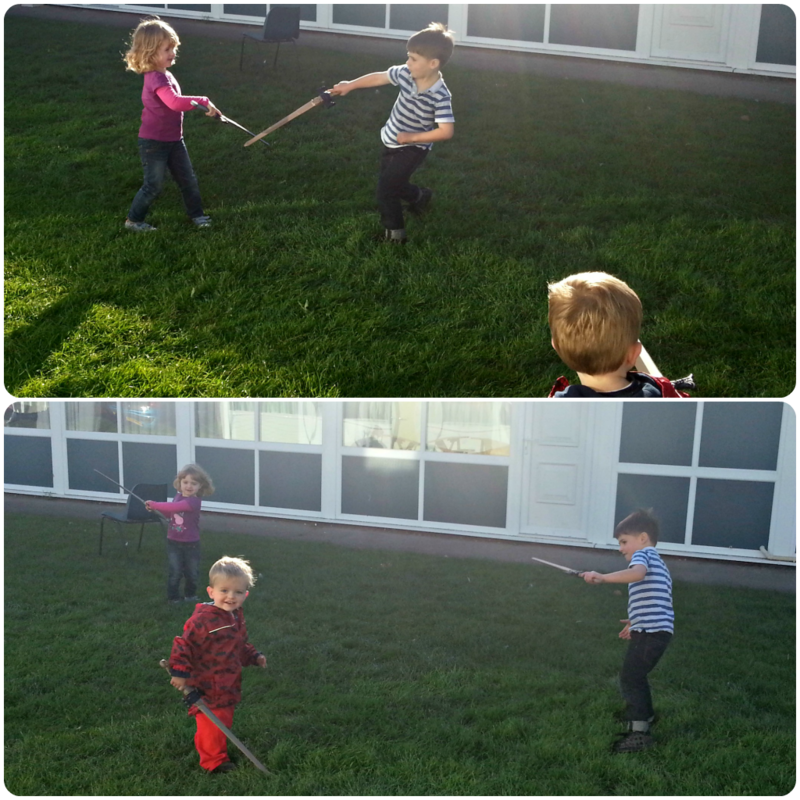 As the motivation maker (aka the booker of the holiday) we managed to make it a good one. At such a reasonable price, we used the chalet as our base, and had some great trips. In honesty, it wasn't great being on a sofa-bed, and worse still in the lounge/ kitchen. For us, with the boys being ok sleepers it wasn't so bad. For my brother, with early birds, I imagine it was worse. At the end of this holiday, I felt relaxed, revigorated, and I felt that I had got to know my children that much better from having a week with them. One of the most interesting things was seeing Squeaks in the amusement arcades. Mr J, Squeaks and I went with a pound each in 2p's each night. We were there, together, three nights. Squeaks came home with over £10 in 2p's. Squeaks refused to part with any of her money. 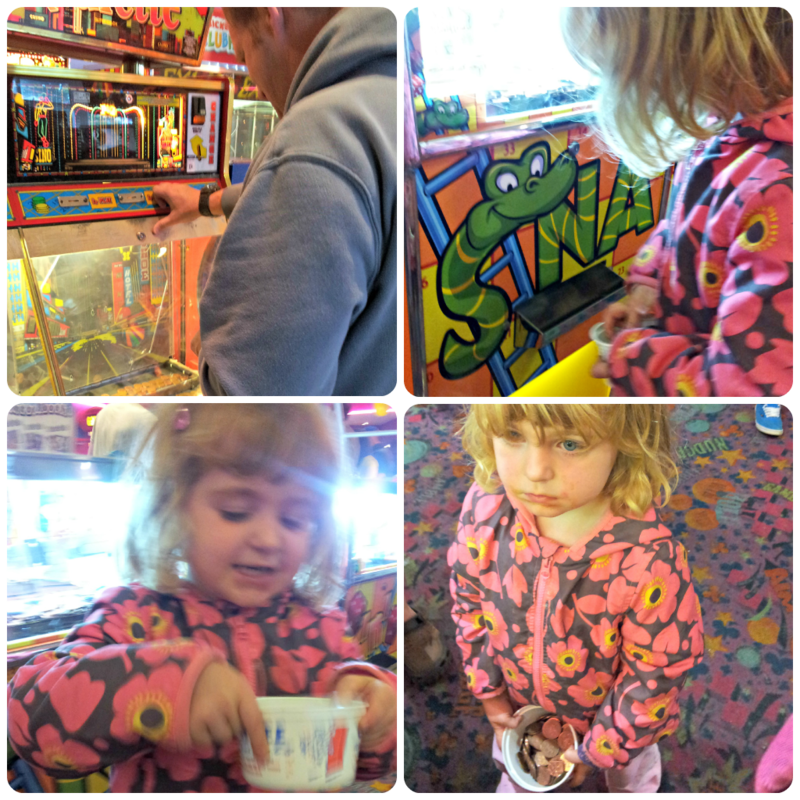 She spent her time collecting everyone else's winnings. Hand on heart, I can't see us returning to Pontins. But, did we have a great holdiay- Yes! Hmm....this isn't telling me anything I didn't already expect. 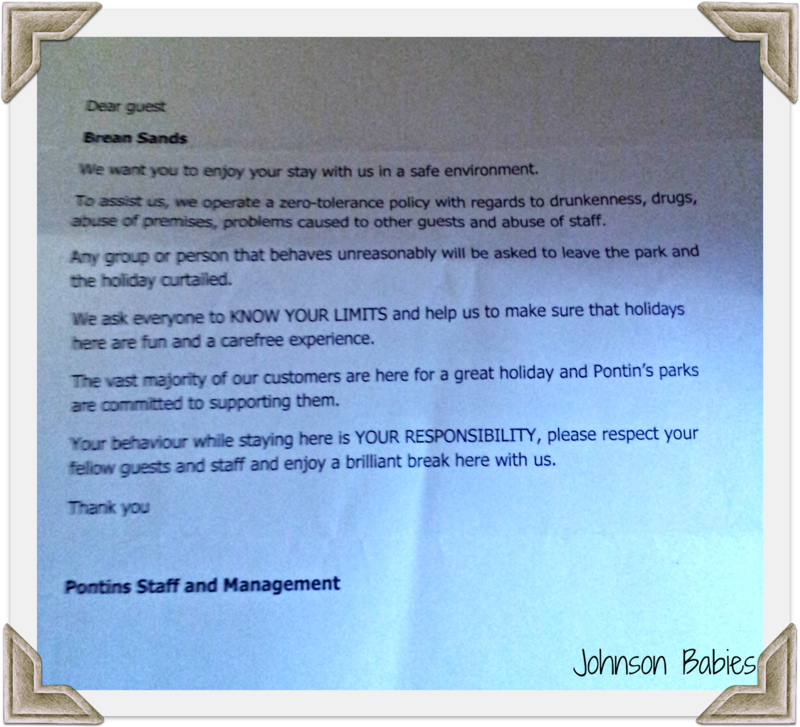 Pontins is great if you want to have trips elsewhere.